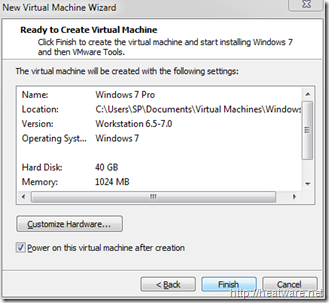 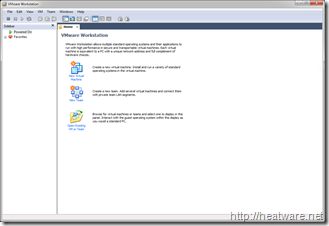 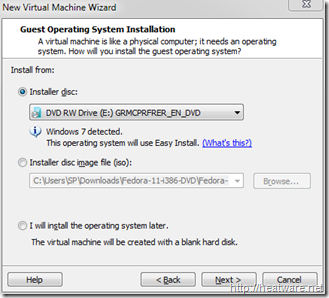 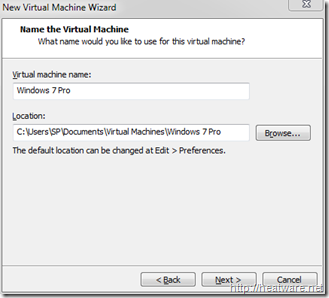 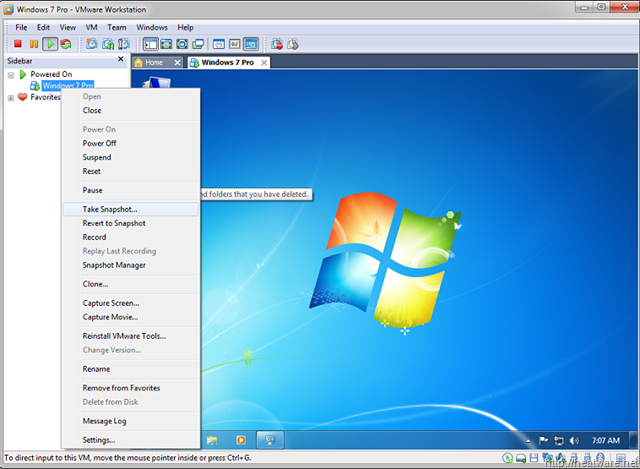 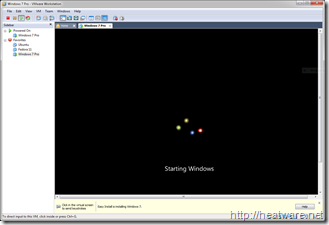 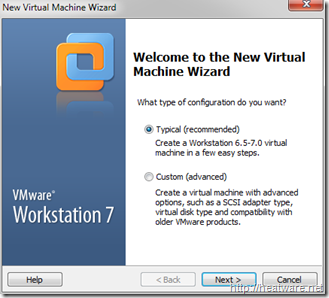 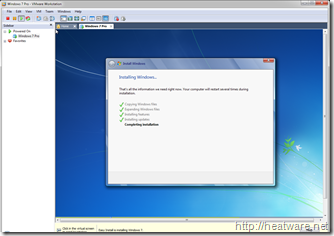 This article will show you how to install Windows 7 within VMware Workstation 7.0. 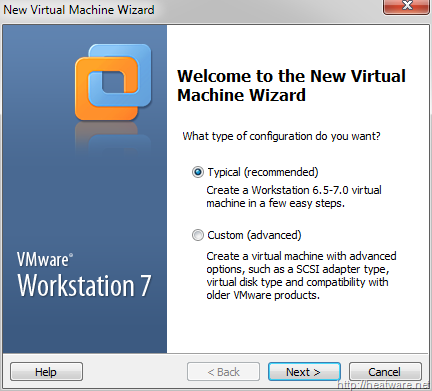 This latest release from VMware was unveiled a couple weeks ago that added support for Windows 7, Aero Glass, performance improvements, and much more. 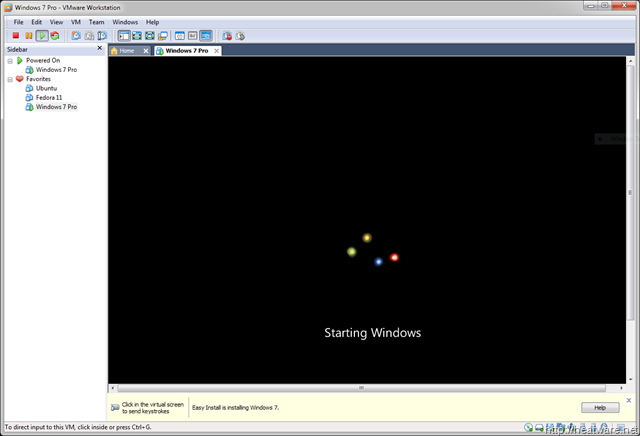 Now, lets cut to the chase and get started! 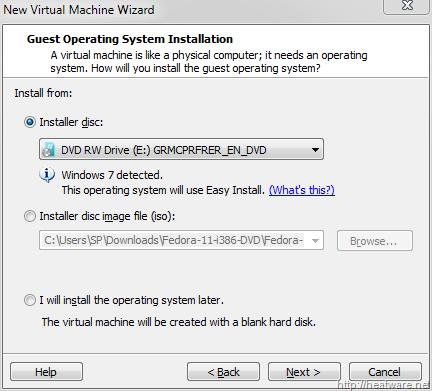 Choose the option Installer Disc and ensure that the optical drive that has the Windows 7 installation DVD is selected. 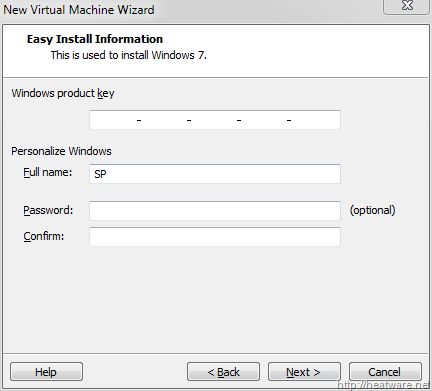 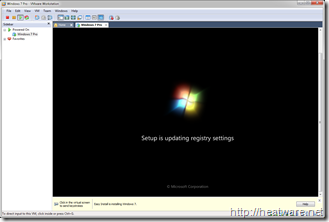 A convenient new feature is the ability to specify your Windows 7 product key prior to starting the installation to allow for a fully-unattended install. No more coming back to your computer an hour later after you think the installation finished only to find it stuck on a screen asking for a serial number! 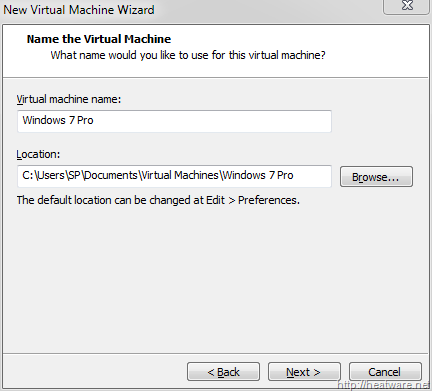 Go ahead and enter your Windows product key and Full name. 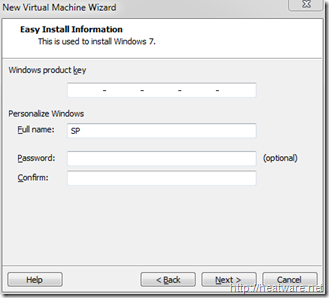 The password is optional. 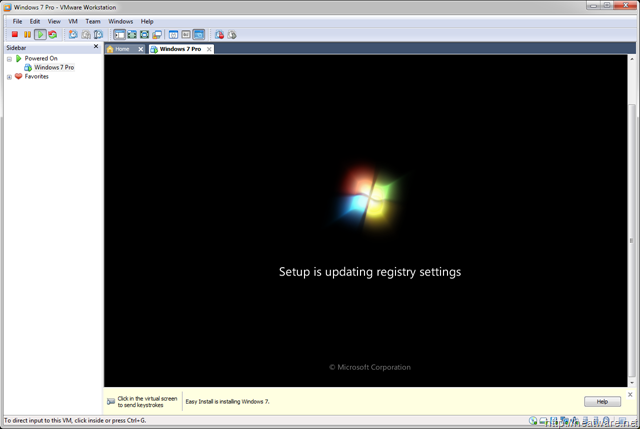 Click Next. 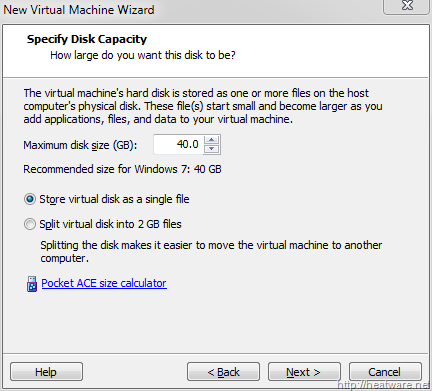 VMware needs to know how hard drive space to allocate to the Windows 7 disk. 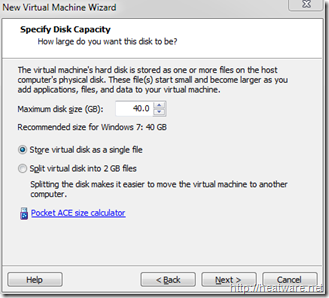 Lets stick with the 40.0 GB default and click Next. 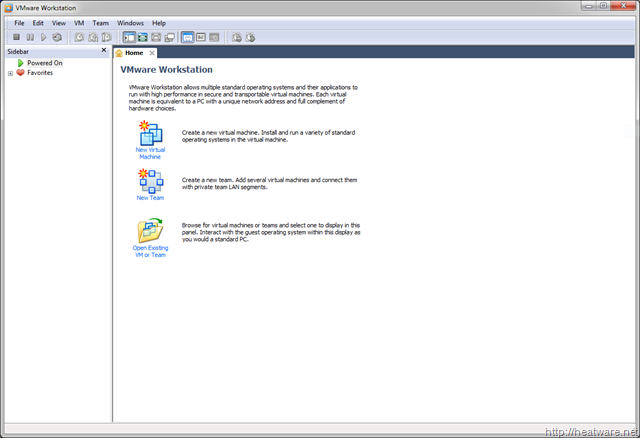 Now you will be presented with a summary screen that shows all the VM configuration parameters. 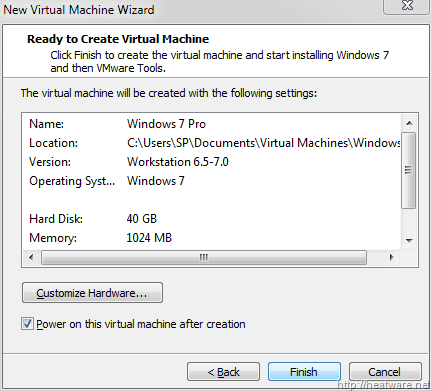 Don’t worry, you can change most of these at any time! 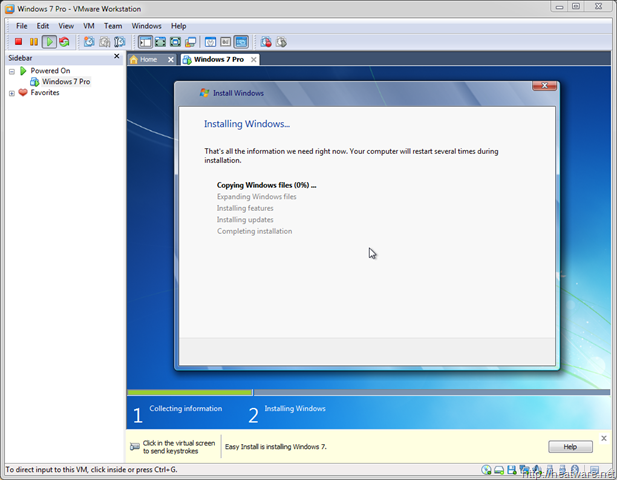 Click Finish to begin the installation! 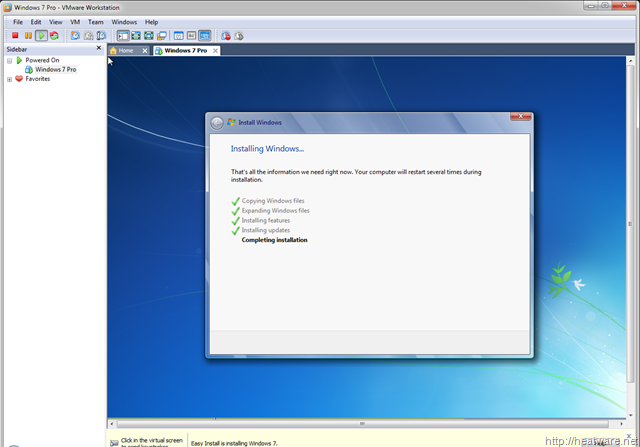 And about 30 minutes later, its all done! 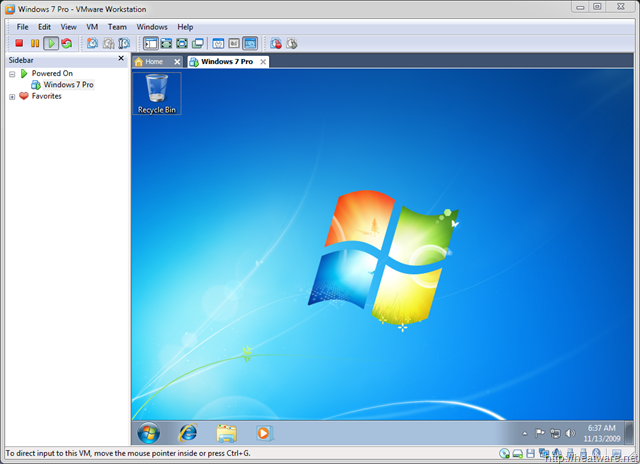 Enjoy your Windows 7 VM!